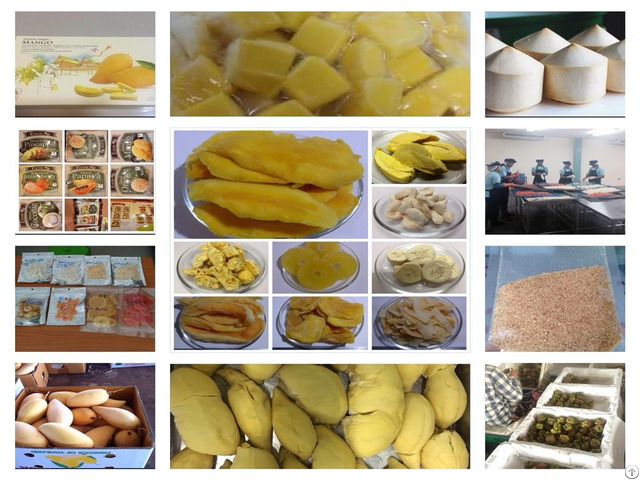 Frozen (IQF) Fruits from Thailand, such as mango, banana, pineapple, durian and more. Including OEM Services (Private Labels). If you are interested, Please visit (www)thairesourcetrade.co .th or email : info(AT)thairesourcetrade .co.th Thailand has many kinds of agricultural product which has a good quality and reasonable price. That's why Thai agricultural products have been required from worldwide market. THAI RESOURCE TRADE Co., Ltd. (TRT) was Thai manufacturer and exporter that can help you to provide agricultural products including be your consultant for successful trade. Please let we have a chance to serve you. " GOOD QUALITY, GOOD DELIVERY, GOOD PRICE " is our principle that we promise you. Posted By: THAI RESOURCE TRADE Co.,Ltd. Business Description: Thailand has many kinds of agricultural product which has a good quality and reasonable price. That's why Thai agricultural products have been required from worldwide market. THAI RESOURCE TRADE Co.,Ltd. (TRT) was Thai manufacturer and exporter that can help you to provide agricultural products including be your consultant for successful trade. Please let we have a chance to serve you.
" GOOD QUALITY, GOOD DELIVERY, GOOD PRICE " is our principle that we promise you.